Percussive Innuendo Gold, Drum/Percussion Sample from Root-Sounds. Root-Sounds, division of Root Studio, launches its first multiformat sample library dedicated to percussion. 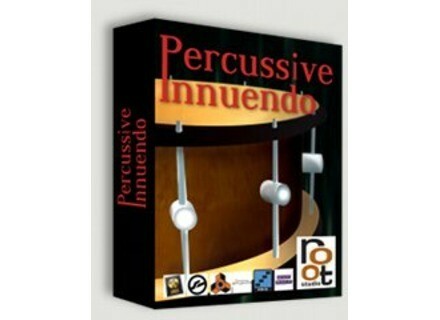 Percussive Innunendo features more than 2000 samples and loops for EXS24, Kontakt, NNXT and Pro Tools Structure samplers. You'll find traditional percussion sounds but also unusual treatments like bows and scratches. The list of instruments includes rain sticks, triangles, snares, tam tams, bells, cymbals and more. Most of them were recorded a the Munich Philharmonic Orchestra and others come from the University of Victoria, California, sound collection. 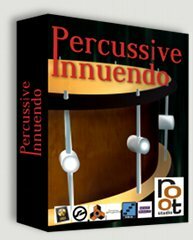 Percussive Innuendo is available in two editions: Standard ($59) includes only processed (wet) samples with a slight compression and ambiance, but Root-Sounds specifies that you can add your own processors. The Gold edition ($89) features both wet and dry versions of these recordings. Note that most of the instruments are mapped for your sampler. Full details are available at root-sounds.com.